CCF to commemorate International Day for the Elimination of Racial Discrimination . THE Citizens’ Constitutional Forum will commemorate International Day for the Elimination of Racial Discrimination with and Equal at the Mic Concert on Saturday March 24. 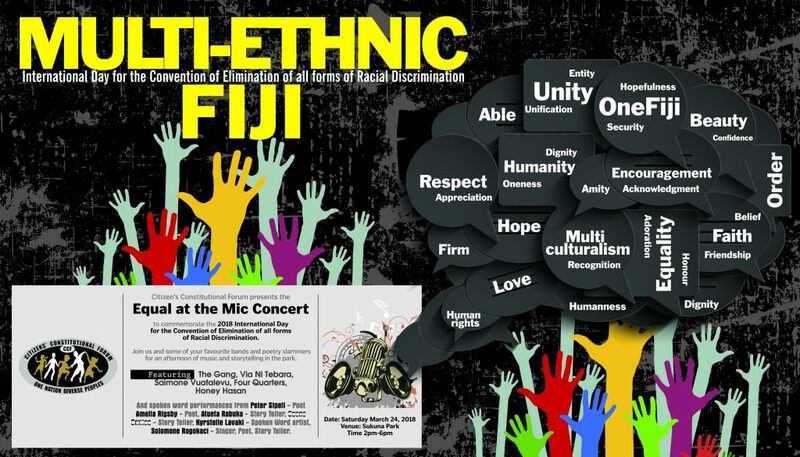 Promoting Multiculturalism and non-discrimination between communities- especially between iTaukei and other ethnicities remains an intrinsic component of CCF’s overall mandate and this year we will use music as a vehicle to eliminate racial discrimination and show that we are all #EqualAtTheMic.